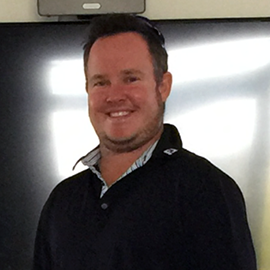 Sean is founder of the Queensland Golf Performance Centre and is Club Professional at Maroochy River Golf Club. 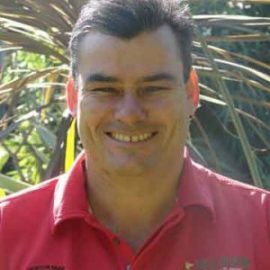 Sean is 20+ year Member of the Australian PGA and is Certified Advanced in Coaching and Small Business. Over the past 20 years he has developed his skills and knowledge in areas of Golf Learning and Custom Club Fitting. Over the past 5 years his Learning has been focused on understanding bio mechanics and how limitations in the body influences movement patterns. Sean’s philosophy that you never stop learning will continue as he is continually expanding his knowledge in all areas of player performance. Sean’s goal with every person is to help them improve and enjoy the game more and that is his number one priority. He isn’t in the business of selling new golf equipment he is all about providing you with equipment that makes you a better player and if he can’t prove that through the fitting process then there is no need to purchase new equipment and he will then focus on what is needed to make you a better golfer. 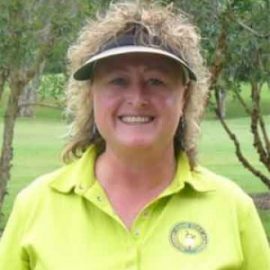 Di Pavich has been involved in the golfing industry for 35 years, having represented her State and Australia in both junior and senior teams and has also competed on the professional Ladies’ Tour in Europe, Asia and Australia which served to give her the knowledge of what it takes to play well when it counts. Marcus has been a full member of the Australian PGA since 2007 and is advanced in coaching. Marcus is TPI Golf and Junior Level 2 Certified as well as K-VEST and SAM Putt Lab Level 1 certified. Marcus takes a holistic approach to every student’s development and uses state of the art technology in his coaching to help golfers on their journey. In 2015, after almost a decade of coaching junior, introductory, intermediate and elite level golfers in Asia, Marcus returned to where his own golfing dreams began on the Sunshine Coast and joined the Queensland Golf Performance Centre coaching team. Marcus’ passion to ‘stay ahead of the game’ in golf coaching and his ability to communicate with students is why he’s a sought after coach. In just one session with Marcus, you will have a much clearer understanding of where your own game is at and what areas need to be developed so that you can reach your golfing potential.